There are a great many uncertainties when it comes to Jurassic World: Fallen Kingdom, but one thing that the filmmakers have guaranteed is that this movie is going to be overflowing with dinosaurs. The original Jurassic Park features less than 20 minutes of actual on-screen dinosaurs, taking a less is more approach. 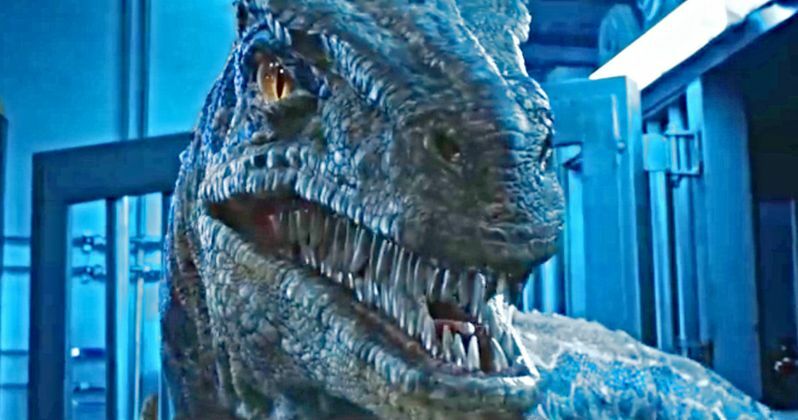 Clearly, the opposite is true with the upcoming fifth entry in the long-running franchise, as evidenced by this brand new More Dinosaurs Than Ever featurette. As Chris Pratt says in the video, "Be careful. There's dinosaurs everywhere and they're flipping out and killing people." The video showcases all of the various types of dinosaurs that have been packed into the movie. Director J.A. Bayona illustrates the point at hand by saying that there were shots with so many dinosaurs in it that they actually had to make the frame bigger. Producer Pat Crowley also boasts that Jurassic World: Fallen Kingdom will feature more dinosaurs in it than all of the other Jurassic Park movies combined. Not that anyone is actually going to count to verify that, but it's an impressive claim. That is a whole lot of dino action. One thing this featurette does is showcase the movie's heavy use of practical effects. A major complaint about Jurassic World, even from many of those who actually enjoyed the movie, was its lack of animatronic dinosaurs, with just a single scene featuring practical creature effects. It's been promised before that Jurassic World 2 will implement a lot more animatronics and this video has that on full display. We see the team building some of the dinosaurs as well as some of what goes into making them come to life behind the scenes. Even though there are plenty of practical dinos in the movie, it's clear there are also going to be a ton of CGI creations as well. It seems like there will scarcely be a minute of screen time that doesn't feature at least one dinosaur in it. That may be good or bad, depending on what it is you want as a viewer from the experience. There are still some mysteries to be unraveled, but it's obvious there is going to be a ton going on here, between the volcano on Isla Nublar, the hybrid Indoraptor, the shady auction, dinosaurs getting loose on the mainland and the return of Jeff Goldblum as Ian Malcolm. Universal has already announced Jurassic World 3 for June 11, 2021, which will see Colin Trevorrow return to the director's chair. That means Jurassic World: Fallen Kingdom will have to leave the door open for at least one more movie. We'll have to see how that all shakes out come June 22, but at the very least we know it's going to involve a crazy amount of dinosaurs. Be sure to check out the new featurette, courtesy of the Universal Pictures YouTube channel, for yourself below.